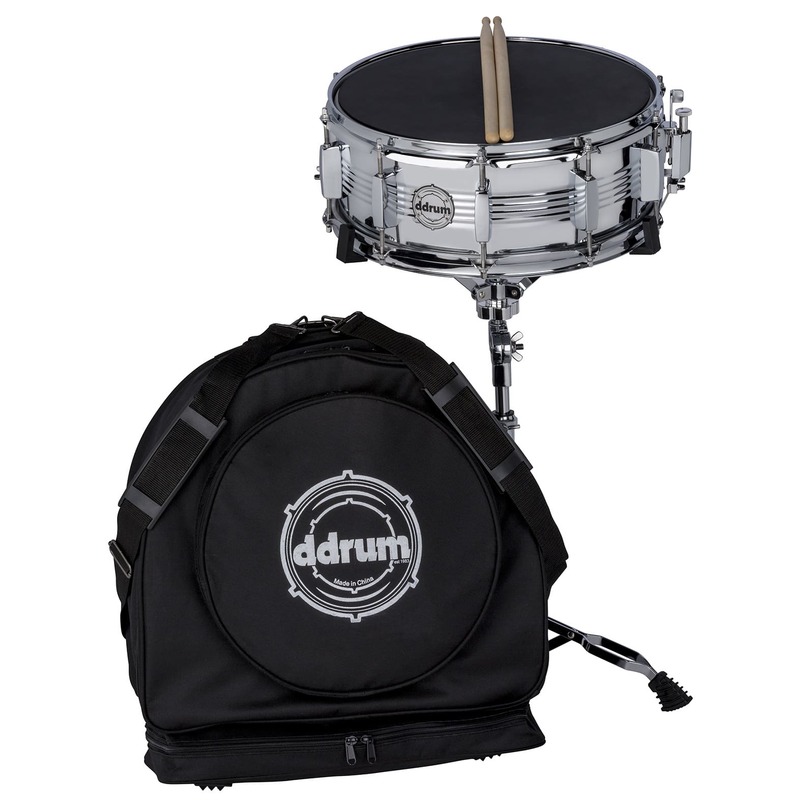 The New ddrum student snare pack! Perfect for upcoming drum students. Features everything you need to lead your ensemble. 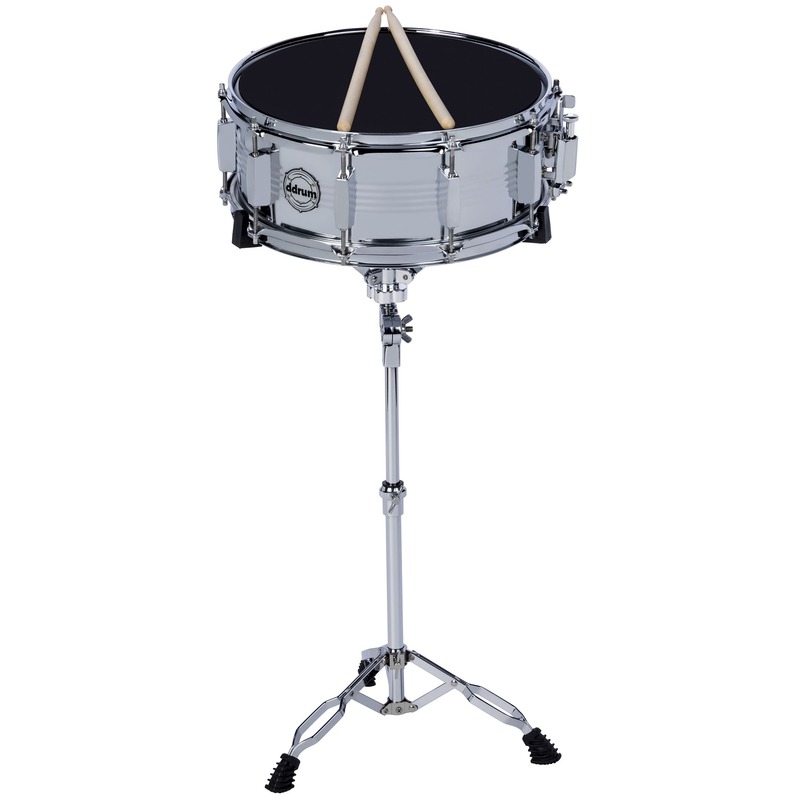 The ddrum student snare pack includes a Steel 5.5x14 10 lug snare with rubber practice pad, 5B sticks, snare stand, carrying case. 1 carrying bag that holds both the snare and the stands.